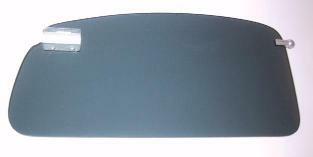 Sun Visors are the same "see through" as 01-028506-00 below. Made from 3/16 thick dark gray tinted Plexiglas. Sun Visors are "see through". Upper Left Shoulder Harness cover. Now available to ship! Note: will not fit earlier aircrafts with below window harness covers. Upper Right Shoulder Harness cover. Now available to ship! Note: will not fit earlier aircrafts with below window harness covers.